David is the epitome of a modern-day dandy. 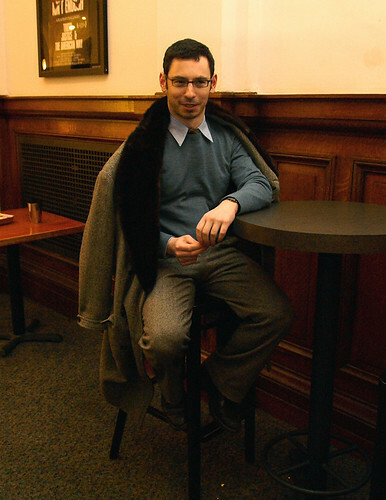 His vintage coat was a gift and is fully lined in mink. 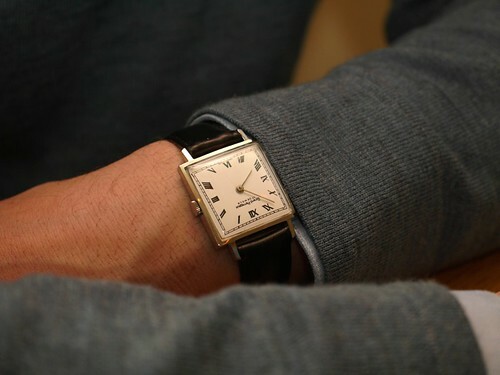 His pretty, vintage Girard-Perregaux watch. i'm not sure about the mink jacket, but that watch is a steal! i like the way is collar stands out. Cut me some slack, people...it's 40 years old. Not like I killed the minks myself. Ahhh. Hard to get away with the whole "but it died so long ago" argument out here, I'm afraid. My mum has a lovely fox-collared coat that she quit wearing a long time ago, and although I'll dig it out of the closet and pet it occasionally, I can't imagine wearing it. That doesn't mean that you aren't fab, David. Muy, muy fab.